I scour the Internet every day for useful marketing news, tips and articles. Here are some you may have missed. LinkedIn Video How-To is giving an extra boost to people who use its built-in video player to add video to their posts. Video makes LinkedIn posts more powerful and offers a great opportunity for brands. Jayson Duncan reports in Maximize Social Business that LinkedIn says video posts are shared 20 times more than regular posts. However, this only works for videos directly uploaded to LinkedIn. So you can’t just share YouTube videos, you have to upload directly to LinkedIn. How to: just start creating an update and selection the video option. Be sure to add a search-optimized description. Content Marketing Stats You Need to Know Writing in Search Engine Watch, Tereza Litsa discusses CMI’s recent report, that only 39% of B2B marketers have a documented content marketing strategy. This means that a large number of marketers can’t prove the value of content marketing to the rest of the company. She recommends focusing on your best performing channel and using it more strategically. Don’t be afraid to focus on a niche audience if you can increase your engagement and conversion rates. And update your best performing older content. That’ll help you benefit from its good SEO. Unfold, the Instagram Story template app that’s taken the influencer community by storm is now available for brands. Instagram, which now has double the audience of Snapchat, comes equipped with a robust set of new features, like filters, clickable and shoppable product tags, as well as engagement tools like polls and questions. Adding an artistic touch and design flair with the free Unfold app sets stories and content a notch above. Unfold now counts major brands like Equinox and Topshop among its fans. Users simply add their own photos and text to one of Unfold’s templates before publishing it to their story. Lockheed-Martin proved the value of earned media and a sense of humor when they Changed Their Logo to Celebrate the Mars Landing. The company changed its name and logo to Lockheed-Martian for 24 hours to celebrate the landing of NASA’s MarsInSight spacecraft, which Lockheed built. It’s rare to see a big brand with a sense of humor, but this transformation definitely attracted press and social media attention. Besides the masthead of LockheedMartin.com, the temporarily revised logo showed up on multiple screens in Times Square from 2 p.m. to 6 p.m. that day and on Lockheed Martin’s Facebook, Twitter and Instagram channels. 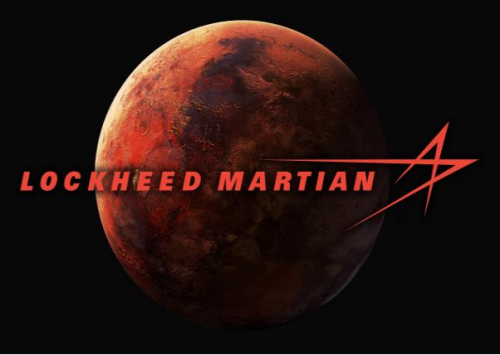 Lockheed-Martin changed their logo to Lockheed-Martian to celebrate NASA’s landing on Mars. The insights of an expert panel at Marketing Prof’s B2B Influencer Marketing Forum in San Francisco is summarized by Dennis Shiao in a report on Leadtail Blog. Definition: “Influencer Marketing activates internal and industry experts with engaged networks to co-create content of mutual value and achieve measurable business goals.” The panel referenced the mutual value between brands and influencers and tied the activity to measurable business goals. 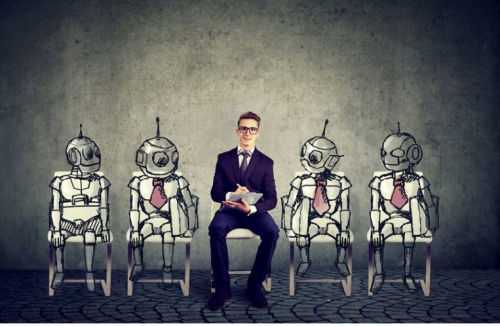 Influencer marketing’s human voice can cut through the noise of thousands of tweets, posts, snaps, articles and podcasts. Michael Stelzner got modern marketing wisdom from Seth Godin on the Social Media Marketing Podcast. The two discussed what is and isn’t working for marketers today, and why. 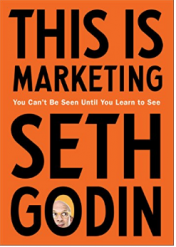 One of the great thinkers of our era, Godin has just released is 19th book, This Is Marketing: You Can’t Be Seen Until You Learn to See. As Godin famously said in Permission Marketing, “You can’t just tell people what you want to tell them. You have to tell them what they want to hear.” Godin’s podcast is called Akimbo. 25 Awesome Free Google Tools for Marketers by Neil Patel is a motherlode of tools for getting the most out of Google search and social media marketing. Among the ones you may not already be using is Predictive search. Just open an incognito window and start typing your brand’s name into the search field. Autocomplete results will show you how consumers are searching for your brand, product or category. Google Books lets you find books in every genre that you can read for free. Google Insights allows you to search for keywords to see their trends over time. This way, you can see whether a keyword is gaining in popularity, see worldwide search trends over the course of a year to find popular months or seasons for a search, see search volume by region, and find a list of top ten related searches and rising searches. I hope you find these marketing tips useful. I will post a new batch soon. B.L. Ochman is a seasoned writer, content creator, strategist, and producer of podcasts and socially shareable video interviews. Let’s talk about how I can help your company tell its story.